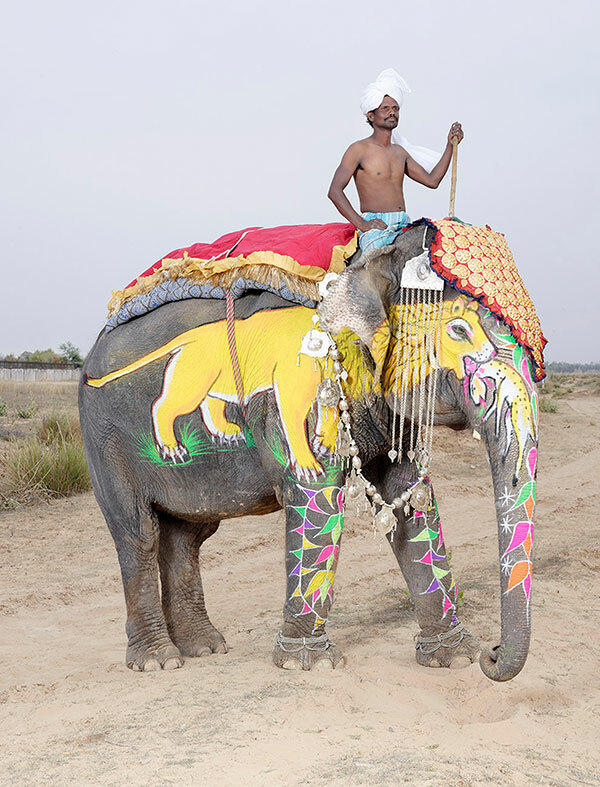 Beautiful photos of painted elephants by French photographer Charles Freger. 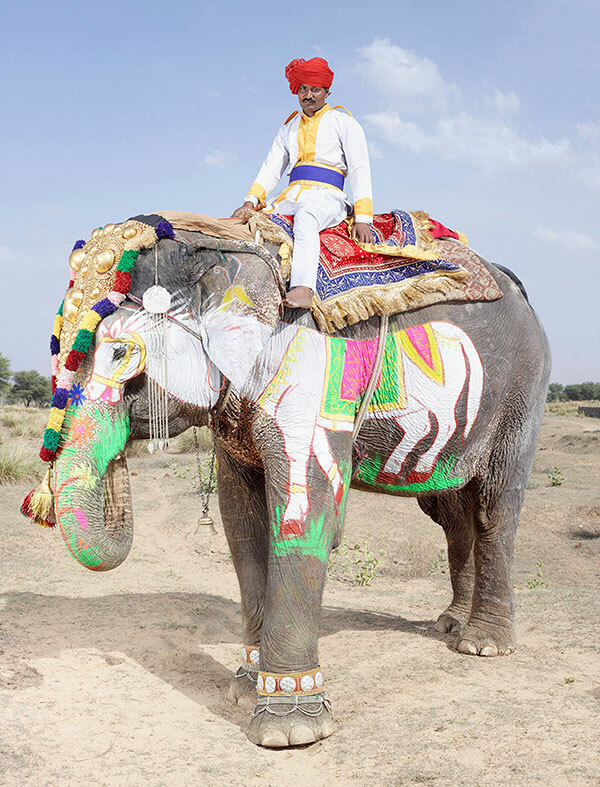 The annual Elephant Festival, celebrated in the city of Jaipur in Rajasthan state in India, features elephant polo, a race, and a human vs animal tug-of-war. 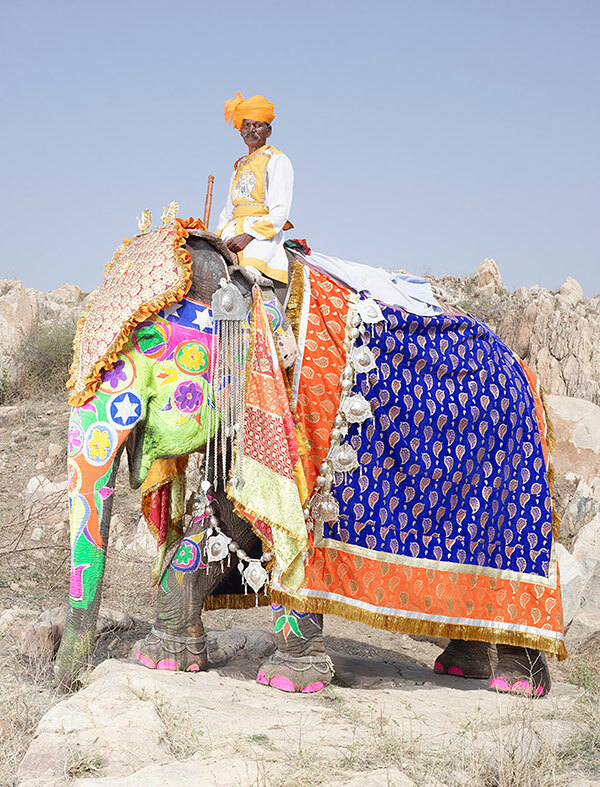 The festival usually begins with a procession of not only bedecked elephants but also camels, horses and folk dancers. 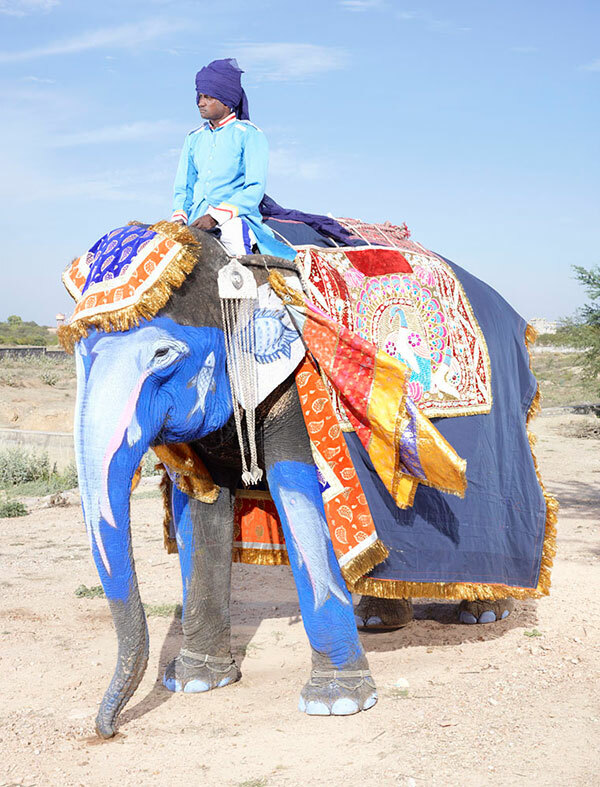 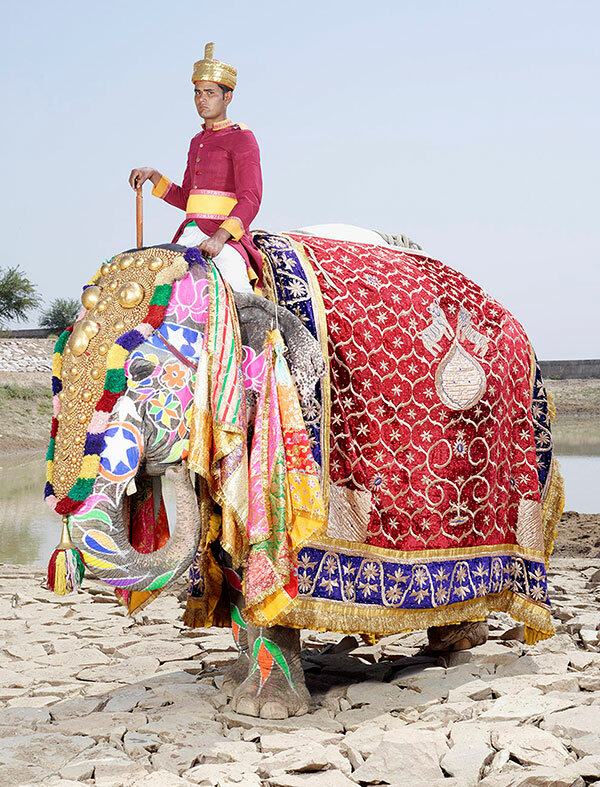 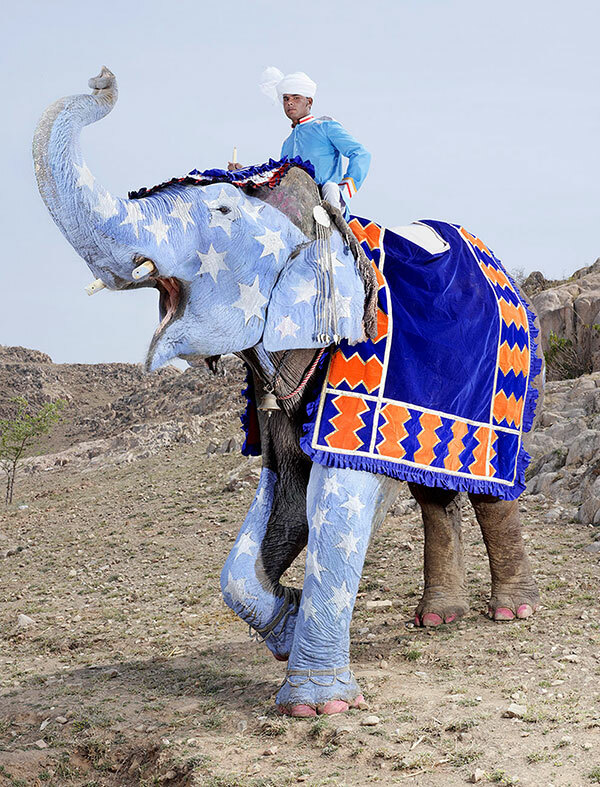 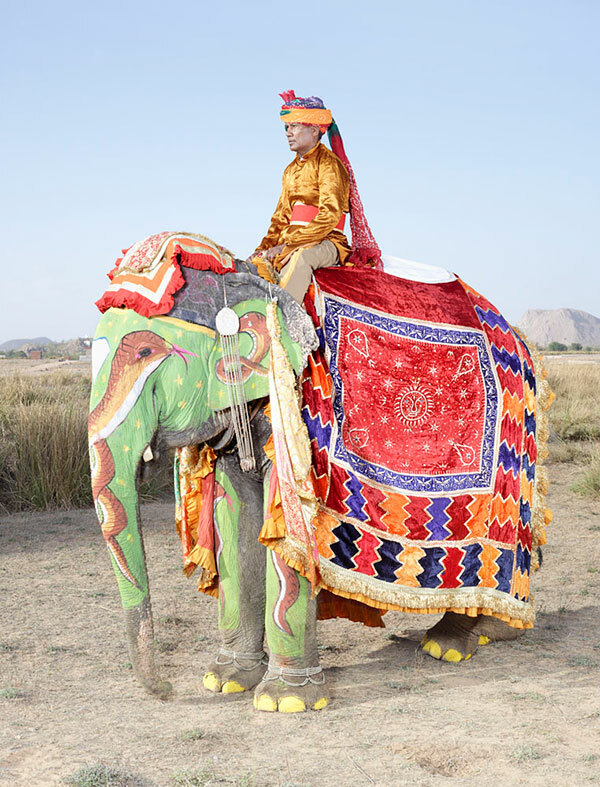 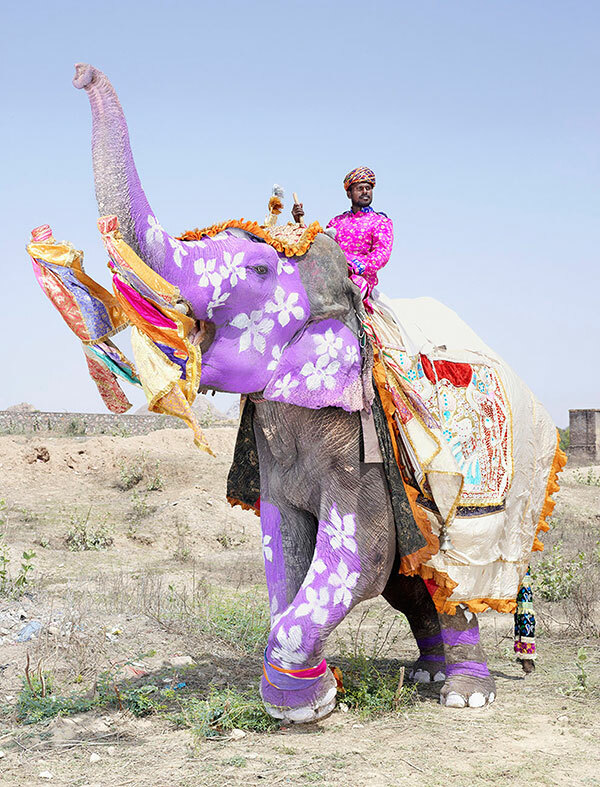 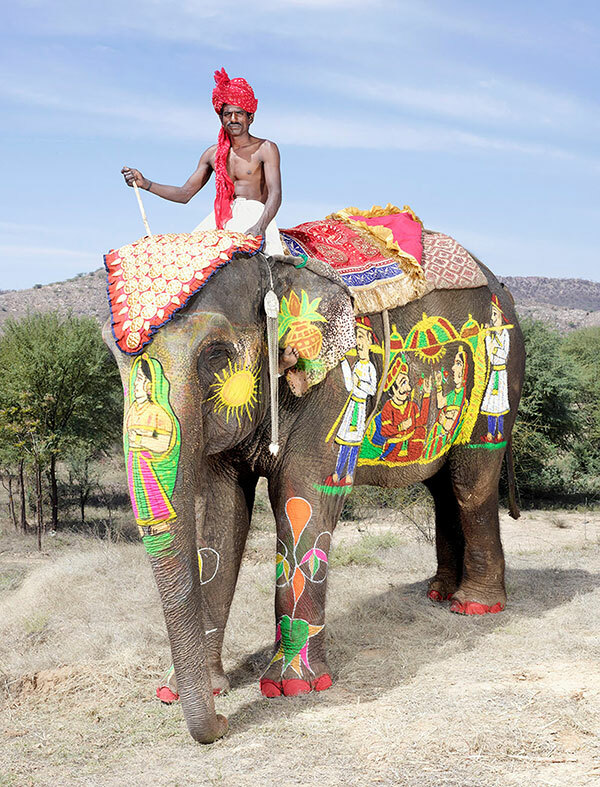 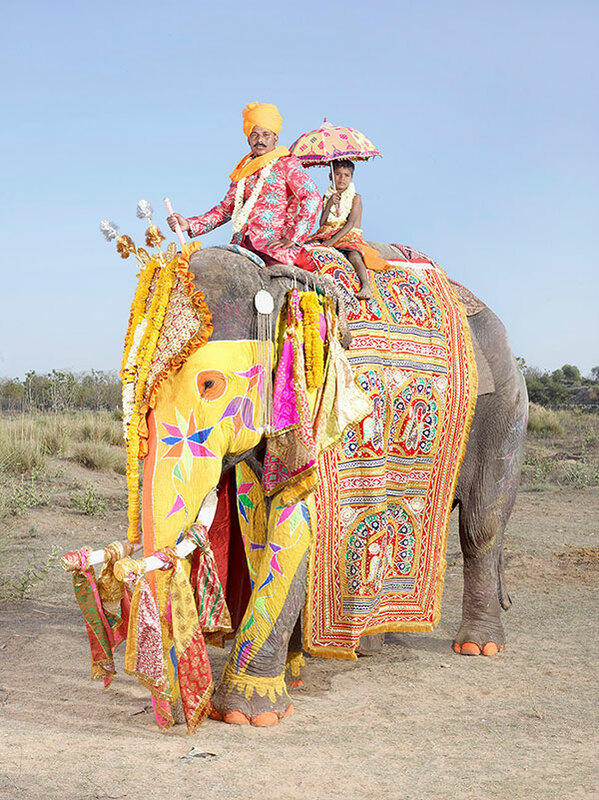 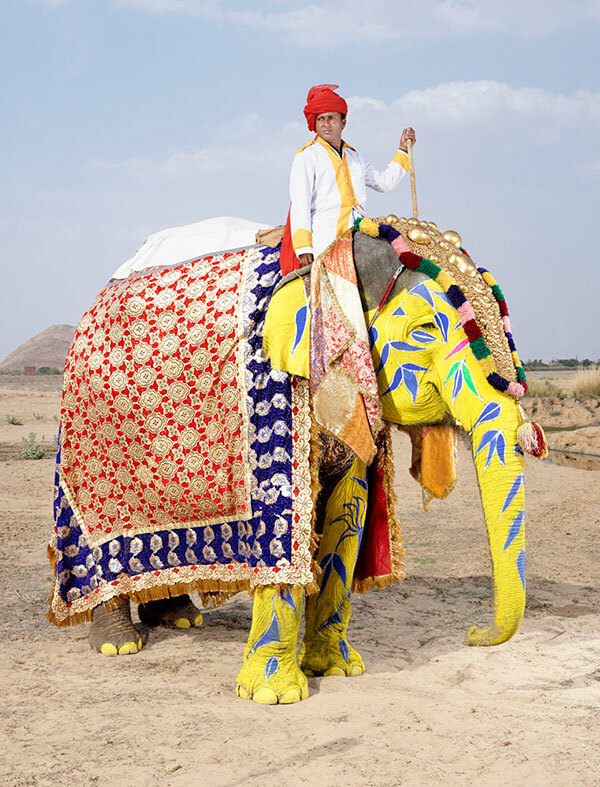 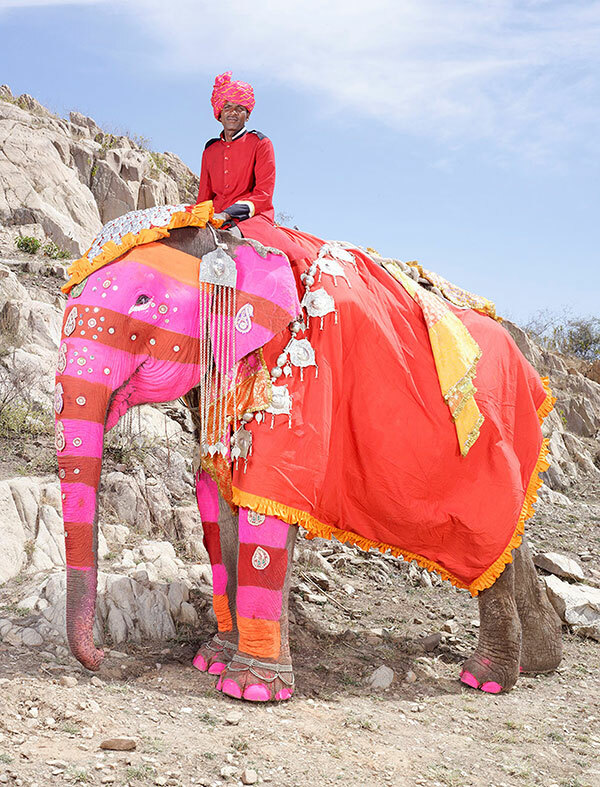 The owners proudly decorate their elephants with vibrant colors, saddle cloths, and heavy jewelry with the most beautifully decorated elephant winning an award.